The importance and impact of literacy is immeasurable. The ability to read is one of the most recognized indicators of future success. In our society, literacy is essential to participate and contribute to the community. The ability to read is integral to informed decision-making and exponentially increases income- earning potential. Research consistently demonstrates that literacy skills contribute to better maintained health, self-esteem, and individual empowerment. Additionally, literacy can increase the ability to contribute as a democratic participant. As impactful as literacy is on a community, illiteracy is just as effectual. Illiteracy and its effects are widespread throughout America, Georgia included. Here are some numbers that may shock you. 93 million adults in the U.S. read below a basic level necessary to contribute to society (RIF, 2015). 65% of Georgia’s 3rd grade children cannot read at a proficient level (Steenson, 2014). 2/3 of children who can’t read by the 4th grade will be incarcerated or require public assistance (Steenson, 2014). Georgia has over 1 million adults that are illiterate (Deloitte, 2017). The reading proficiency of Black and Hispanic students is 25% lower than that of their White counterparts (Cook, 2015). Literacy is a right, implicitly recognized in the right to education. Education is a human right, not a privilege afforded to some. While the right to read is innate, unfortunately focus and access to literacy resources are restricted to some populations, namely the disadvantaged. There are significant gaps in reading achievement by race and income. The focus of The Write Aide is to lessen the large disparity between resources and access available to lower and upper income communities. 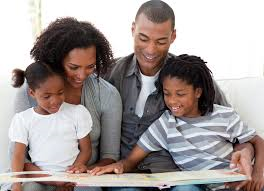 There are numerous ways that we can help promote and increase literacy in our community. Become a Write Aide reading mentor. Encourage little readers by volunteering to read at local neighborhood schools. Cook, L. (2015) U.S. Education: Still Separate and Unequal. U.S. News & World Report. Deloitte. (March 2017) The State of Literacy in Georgia. Do Something (2017). 11 Facts about Literacy in America. Reading Is Fundamental. (2015). Literacy facts and stats. Steenson, M. (2014). Low literacy rates directly impact Georgia’s future.